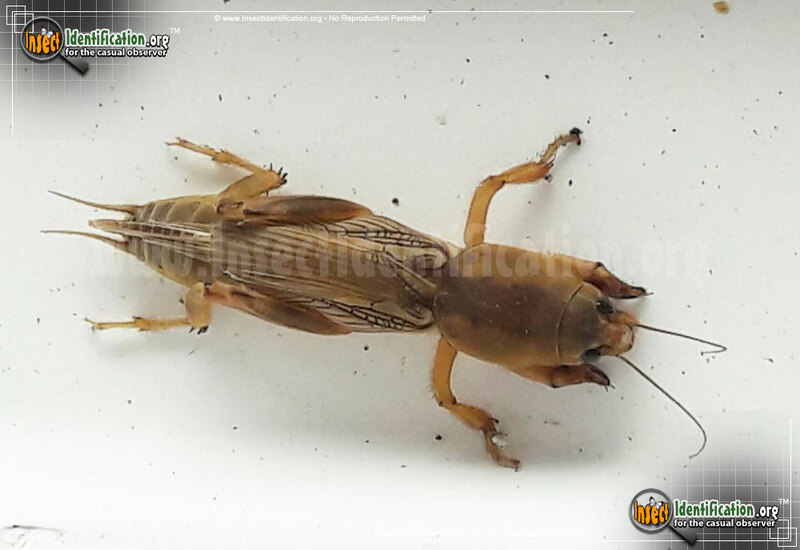 Detailing the physical features, habits, territorial reach and other identifying qualities of the Tawny Mole Cricket. 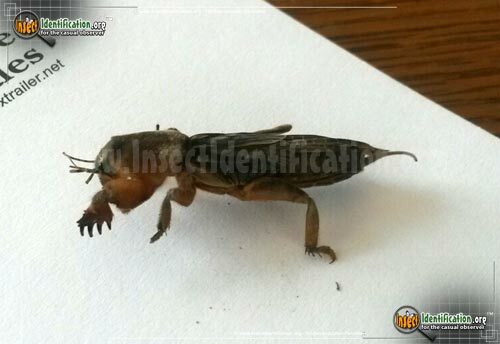 The rich brown Tawny Mole Cricket is a burrowing nightmare for anyone trying to keep a pristine lawn or putting green. 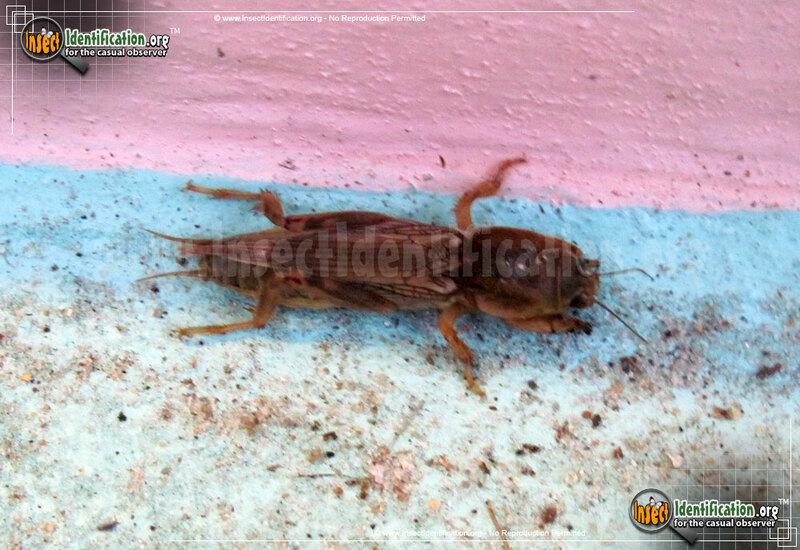 Introduced to the coastal states of the American Southeast sometime around 1900, this species of mole cricket creates problems in areas growing turf, like golf courses and football stadia. It is also a pest that damages other grasses and vegetable seedlings. Certain imported species of flies, nematodes (worms), and wasps have been used to control the Tawny Mole Cricket. 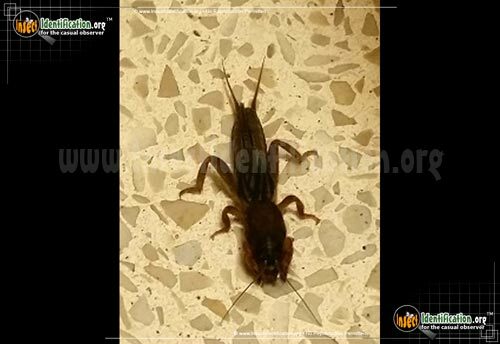 Tawny Mole Crickets are brown and have wings that are slightly longer than their bodies. Their 'shoulder' area is a medium brown mottling of color. It lacks the four spots and darker color of the Southern Mole Cricket. Their pronotum is almost circular and not egg-shaped. If a view of their digging 'fingers' (called dactyls) is possible, the Tawny Mole Cricket has no space or gap between dactyls where they attach to the 'palm'. 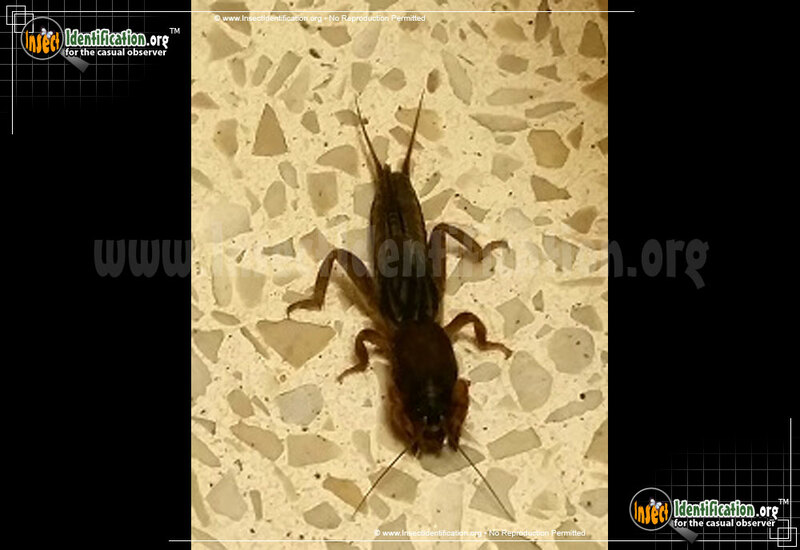 Tawny Mole Crickets are slow moving creatures on foot. 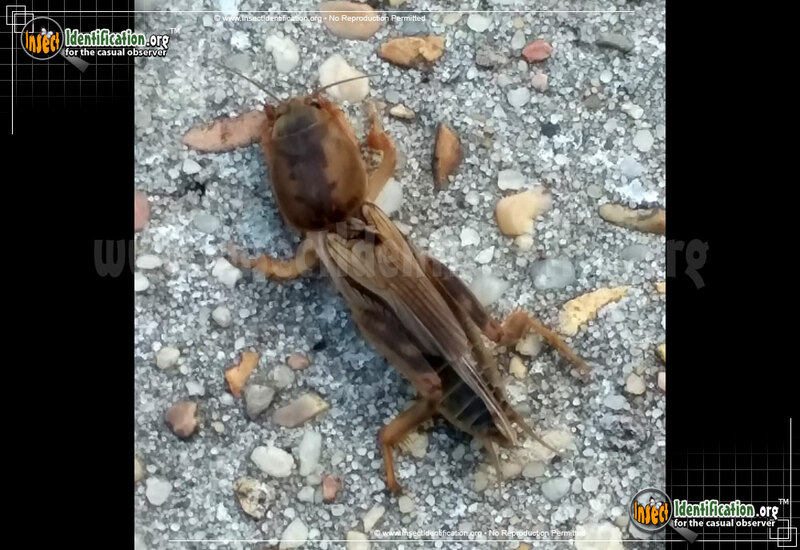 Unlike their Southern Mole Cricket cousins, Tawny Mole Crickets do not play dead when they are captured. They can fly, however, and usually do so for about an hour at dusk. They are capable of traveling almost a mile in a day. They typically take flight from early spring through the end of summer in warmer, southern regions like Florida. They may not start flying until late spring in cooler areas in Georgia. They also 'chirp' during this time of day. For about an hour-and-a-half after sunset, this species will sound out loud trills at a rate of 130 pulses per second, which is almost three times as many as Southern Mole Crickets. Females lay between 30-60 eggs about 10cm (4 inches) in an underground chamber. She then covers the chamber with dirt and dies before the eggs hatch. After hatching, the nymphs may eat each other before they find nearby plant roots to eat instead. Over the summer months, the nymphs molt many times and mature into adults that will overwinter and breed the next spring.